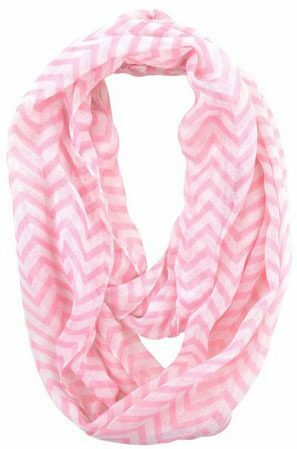 Sheer Chevron Infinity Scarf Only $3.59 + FREE Shipping! You are here: Home / Great Deals / Amazon Deals / Sheer Chevron Infinity Scarf Only $3.59 + FREE Shipping! Ooooh, I LOVE this scarf! Right now, you can get this fabulous Sheer Chevron Infinity Scarf for as low as $3.59 + FREE shipping! I am all about infinity scarves, and I LOVE chevron patterns, so this is the perfect scarf for me! This would make a great gift, too!